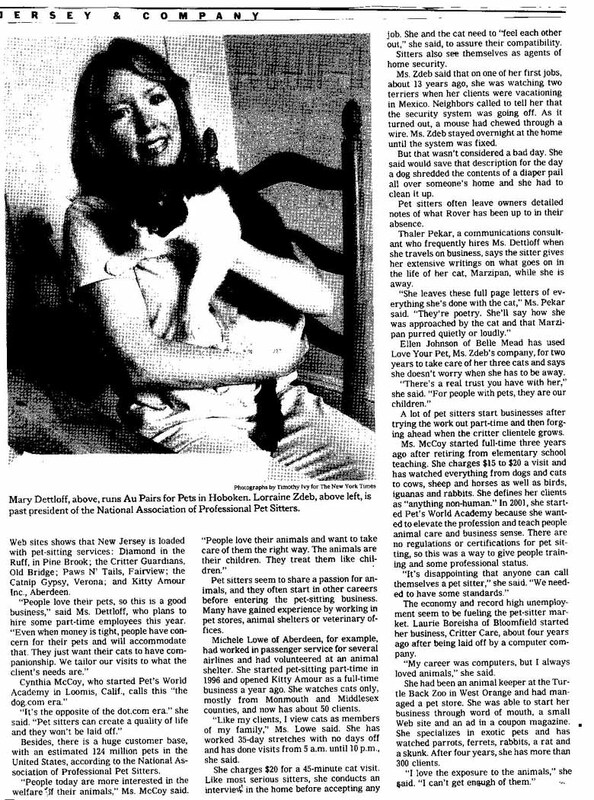 This is a copy of an article mentioning Kitty Amour that was published in Sunday's New York Times (August 3, 2003), New Jersey Section. I was happy to be interviewed by Debra Nussbaum and I wanted to share it with clients who might be interested in reading it. Thank you for choosing Kitty Amour as your cat sitting service and for your support to help us be successful!